Finance Minister Arun Jaitley in Budget 2018 did not change the income exemption limit or the income tax rates applicable on different slabs. 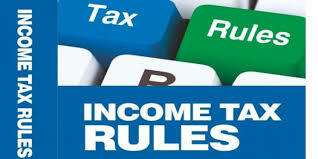 However, he introduced a number of changes that will impact the income tax you pay. From taxing long-term capital gains on investment in stocks and equity mutual funds to change in cess on income tax, the finance minister proposed a number of changes. A standard deduction of Rs. 40,000 for salaried individuals has also been introduced. 2) A standard deduction of Rs. 40,000 has been proposed to be introduced for salaried individuals in Budget 2018. About 2.5 crore salaried employees and pensioners would benefit from this proposal and it would cost the government around Rs. 8,000 crore, according to the finance minister. According to Budget proposals, salaried individuals will get a standard deduction of Rs. 40,000 on income in place of the present exemption allowed for transport allowance and reimbursement of miscellaneous medical expenses. Standard deduction allows for a flat deduction from income of a salaried individual towards expenses an employee would incur in relation to his or her employment. Standard deduction, which was earlier available to the salaried individuals on their taxable income, was abolished with effect from assessment year 2006-07. 3) Finance Minister Arun Jaitley in Budget 2018 announced a new tax of 10 per cent on long-term gains from investing in stock markets and equity mutual funds. Under the proposed new tax, profits of more than Rs. 1 lakh from stock and equity mutual fund investments held over one year will be taxed at 10 per cent. At present, profits from stock and equity mutual fund investments held for more than 12 months are tax exempt. However, long-terms capital gains made on investments up to January 31, 2018, will not be taxed.